West Sixth Brewing announced today the next bottle in its limited edition “West Sixth County Series” – Nicholas County. 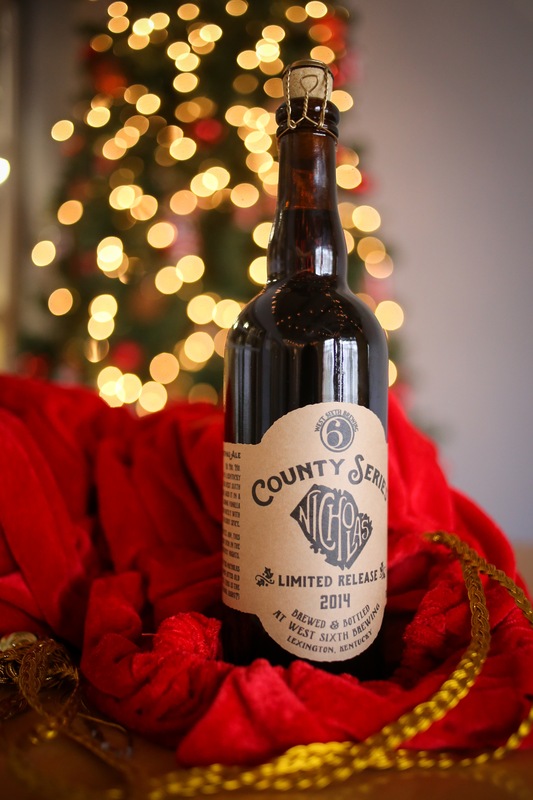 A celebration of Christmas, Nicholas County is a small batch of West Sixth Christmas Ale aged in Bourbon Barrels for several months. “The bourbon character really plays well with the spiced characteristics of the West Sixth Christmas Ale” said brewer Robin Sither. “We think Santa Claus will make a lot of people happy this year by delivering some Nicholas County under the tree – after all, who doesn’t want beer for Christmas?” said founder Brady Barlow. This beer is a celebration of a Kentucky Christmas. The base beer is our West Sixth Christmas Ale, a dark spiced ale with aroma of cinnamon and nutmeg and a sturdy malt backbone. We’ve aged this beer in a Kentucky Bourbon barrel, which imparts a vanilla and bourbon overtone to the already existing spice character. Strong and Warming, it weighs in around 11% ABV, which should keep you merry even in the coldest of Kentucky nights. Availability of Nicholas County will be extremely limited – only 235 bottles will be available. These beers will go on sale next Monday, December 15th, at 5pm. Bottles will be $15 and will be limited to one bottle per person since supplies are so limited.